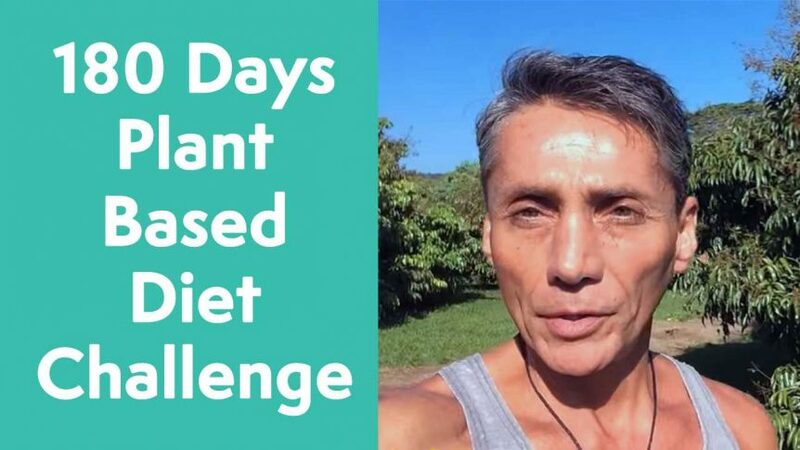 180 Days Plant Based Diet Challenge of Resetting Your Mind and Body through an Organic Plant Based or Non Blood Diet. I personally removed 40 pounds of excess body weight and toxicity using these protocols, and this inspirational video is to give you an idea and truths that you can heal yourself like I did using Terrain Modification. Would you like be healthier? Would you like loose lots of excess fat and toxicity? Be more creative? Increase you testosterone? Longevity? I guarantee you following the 180 days of purging, purifying and rebuilding, primarily using liquids, will change your life for the better. Again, I have personally lost over 40 pounds of toxicity and baggage, as well as tens of thousands of people from around the world using these protocols. Learn more about intermittent, block fasting in our Fasting Series. I use a variety of super mineralized liquids which is the best and easiest way to feel and look better. Do you want to “Break the Parasitic Spell” of “Parasitic Creature Mind Control”? Every-Body has a variety of parasites that live in various parts of the body. These elusive parasites mostly feed upon sugar, carbohydrate, dead foods, fast foods, meat and flesh of any kind etc. This parasitic defecation (poop and feces) is a very toxic sludge that makes our bodies and minds sick. In my opinion (over 40 years researching and practicing as a Doctor), parasites and toxicity are the main causes of a variety of sicknesses that we see everywhere in the USA. Questions to ask yourself: Do you have excess body fat? Do you feel sick and tired after a big meal? Depressed often? Feeling confused? Belly bloating? Constipation or diarrhea? Head and body aches are mostly all caused by various toxicities and parasites and their feces that we have all accumulated on a daily basis since we were born. What could be an easy, efficient and economical antidote to most sicknesses and many dysfunctions we all have to some degree? Learning and practicing Terrain Modification protocols, practices and principles will enhance, optimize and upgrade your health, wellness and evolution for sure. Earther Academy’s theme is to “Become your Own Doctor/Teacher”. I have many years of research and experimenting using Terrain Modification for health, wellness and evolution with hundreds of thousands of people over the last 35 years. Recommended Courses: Becoming Your Own Doctor for Health and Wellness, Pumpkin Seed Raw Soup Recipe and 21 Day Liquid Cleanse with Citrus Smoothie Drink. Personally, I am getting close to 60 years old with over 35 years of clinical practice as a Doctor (personal and public teacher) in the areas of full body/mind detoxification, rejuvenation and optimizing critical thinking, awareness and consciousness. Millions of people from all parts of the world have added the Terrain Modification protocols, practices and principles to maintain, regain or enhance/reset yourself and your family in ways you could not imagine. The body and mind are self organizing entities, and they have what we cal “Innate Intelligence”. So, it is time to detox and regenerate your body and mind before you get sick. Just as if you would change your oil in your car, or a complete tune up or overhaul for maintenance or repair.